Power to shape your course's reputation. CampusBolt empowers you to shape your course's reputation by reaching new students before registration, answering questions about the course, and understanding course outcomes. Get ahead of the game and continually adapt and improve your teaching with real-time feedback. Reach students to promote your course. Want a better way to communicate the value of your courses than a couple lines in the catalog? Tired of having low registration and cancelled classes? CampusBolt allows you to communicate with students before registration, to promote your course and set expectations. 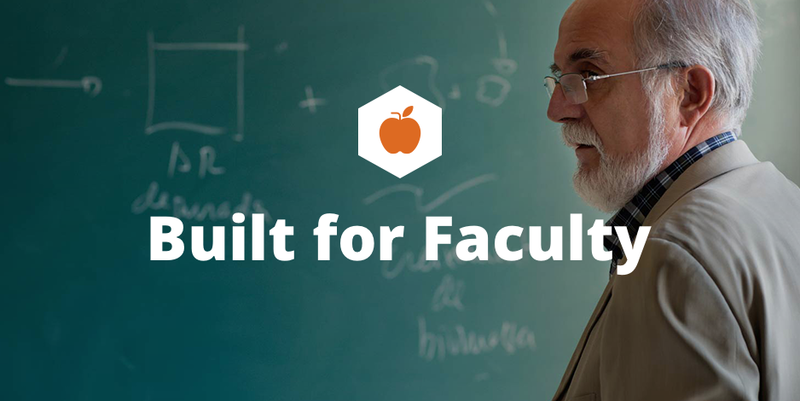 Utilize our Q&A system to build a living FAQ for your course. Receive and respond to feedback on-demand. Don't wait until months after the conclusion of your course to receive feedback. Get it as soon as you want through CampusBolt. You have access to student feedback at any time during the year, giving you the power to address gaps in your curriculum and fill the need in advance of official evaluations, which may determine employee compensation. Engage your students, and shape a constructive conversation. With features like feedback moderation, ability to remove offensive content, and notifications for objectionable content, CampusBolt helps you ensure that the dialogue about courses and faculty remains both beneficial and constructive for all parties. Understand outcomes and demonstrate the value of your course. At the conclusion of each term, CampusBolt solicits feedback from the student body, and makes it available to you almost immediately. The combination of this feedback and the growing Q&A base can help you demonstrate the value of your courses in a CV or on a professional website. CampusBolt is rolling out to institutions around the world, let’s see if we’ve already got you covered!